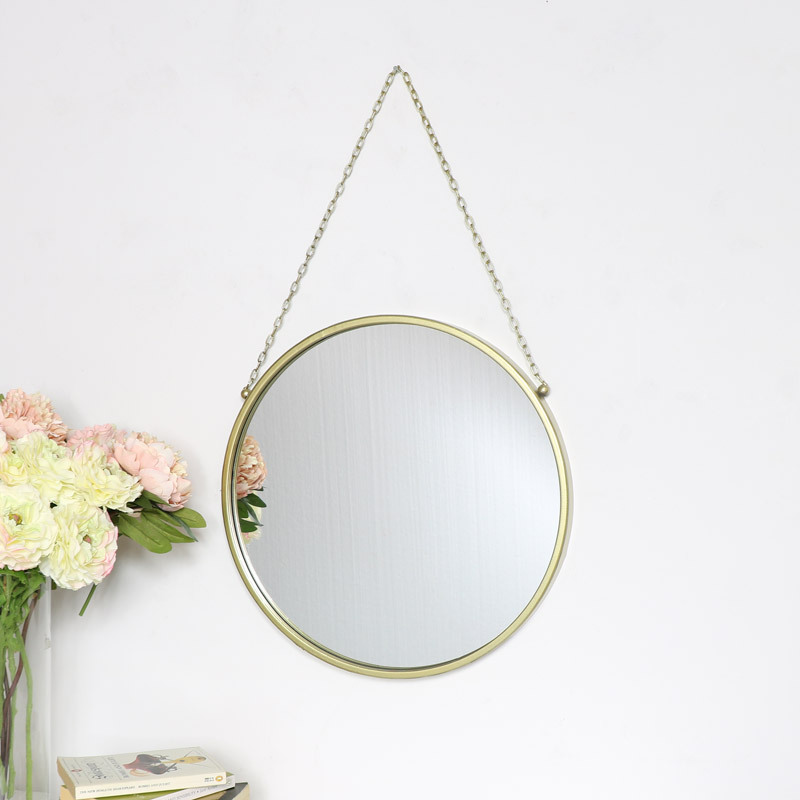 Round Gold Framed Wall Mirror 45cm x 45cm - Luxe living style round wall mirror, perfect for displaying in the living room, hallway, bathroom or bedroom. Luxurious, glam styledRound Gold Framed Wall Mirror, ideal for displaying in the living room or hallway. Would also make an elegant bathroom mirror. Mirrors are perfect for adding that finishing touch to any decor. With many more colours, sizes, shapes and styles to choose from. 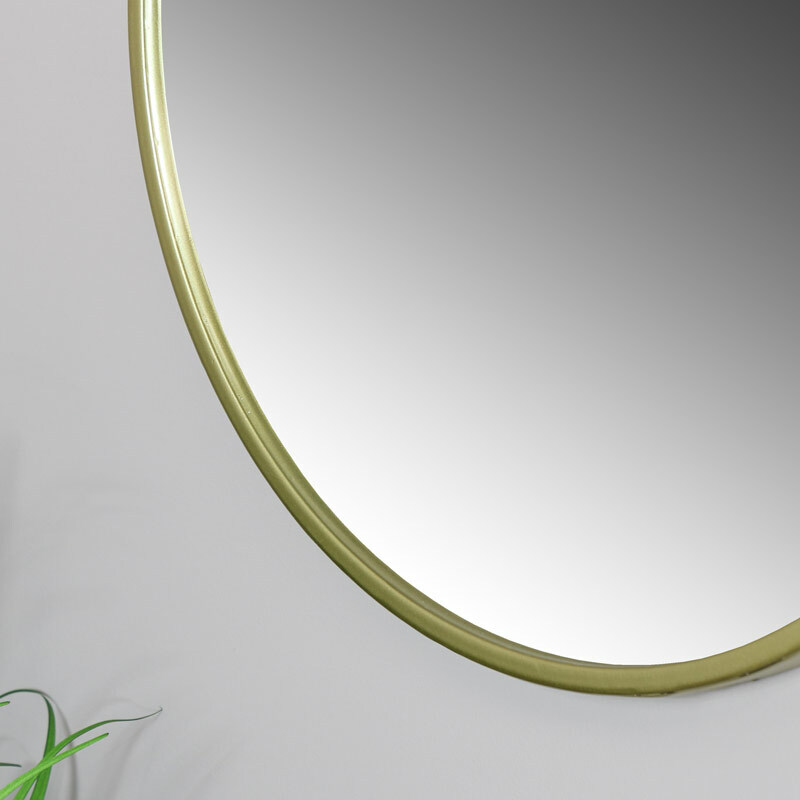 Round Gold Framed Wall Mirror 45cm x 45cm - Luxe living style round wall mirror, perfect for displaying in the living room, hallway, bathroom or bedroom. Luxurious, glam styledRound Gold Framed Wall Mirror, ideal for displaying in the living room or hallway. Would also make an elegant bathroom mirror. Mirrors are perfect for adding that finishing touch to any decor. With many more colours, sizes, shapes and styles to choose from. 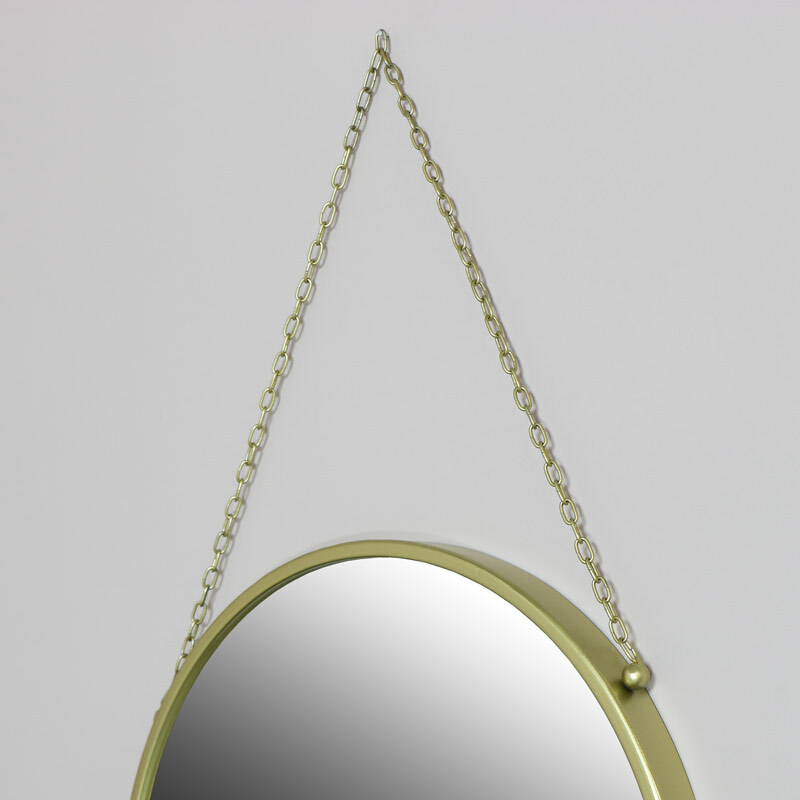 Metal frame in gold with circular mirror. Easily wall mounted with gold metal chain.